The unthinkable has happened: ISIS, covertly assisted by Pakistan's intelligence services, has acquired nuclear weapons and the ability to deliver them anywhere in the world. 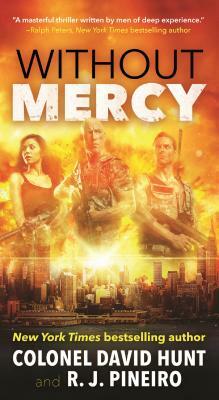 They begin with an attack at Bagram Airfield, America's largest military base in Afghanistan. A second weapon is detonated in Battery Park in New York City. The stakes skyrocket when Islamabad CIA Station Chief Bill Gorman unearths evidence of a third bomb headed our way. Across two continents the chase is on to find the runaway terrorists led by the ruthless and capable Salma Bahmani, star agent of Pakistan's Inter-Services Intelligence, the dread ISI. She will stop at nothing to deliver what could be the final nail in America's coffin.